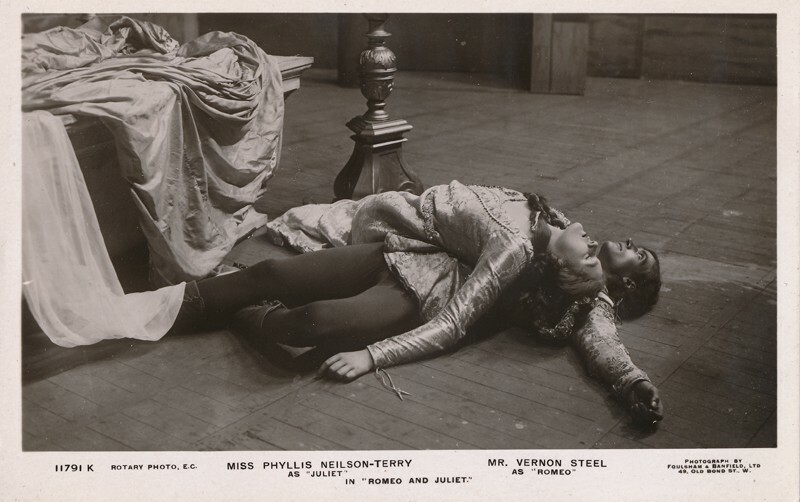 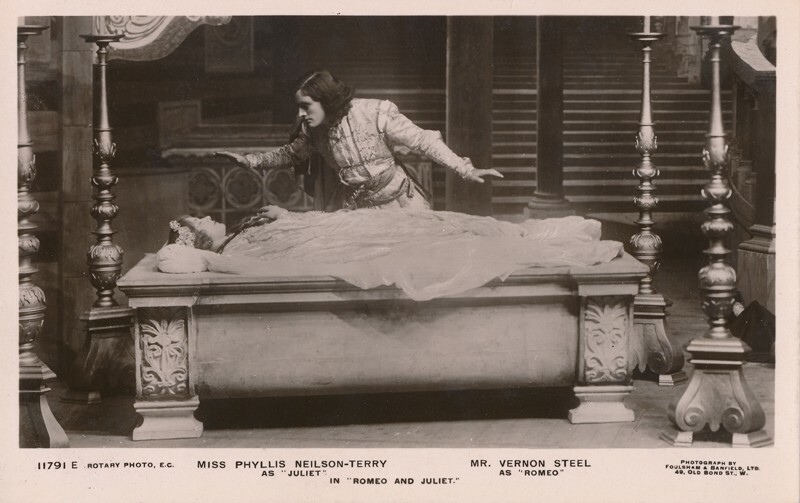 Vernon Steel’s first appearance on the stage was in 1899; in 1906, he joined the company of Sir Johnston Forbes-Robertson and toured the United Kingdom and the United States. 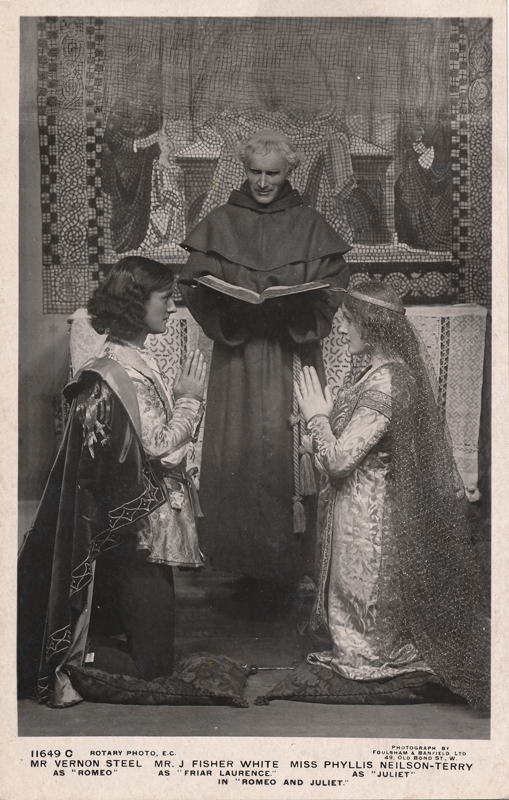 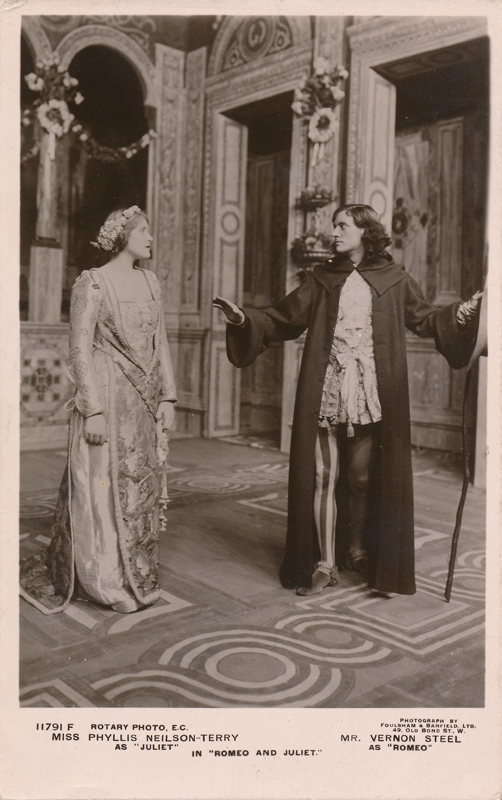 He played Bassanio in The Merchant of Venice (1906), Orlando in As You Like It (1908), and Romeo (shown here) in 1911 at the New Theatre, London opposite Phyllis Neilson-Terry. 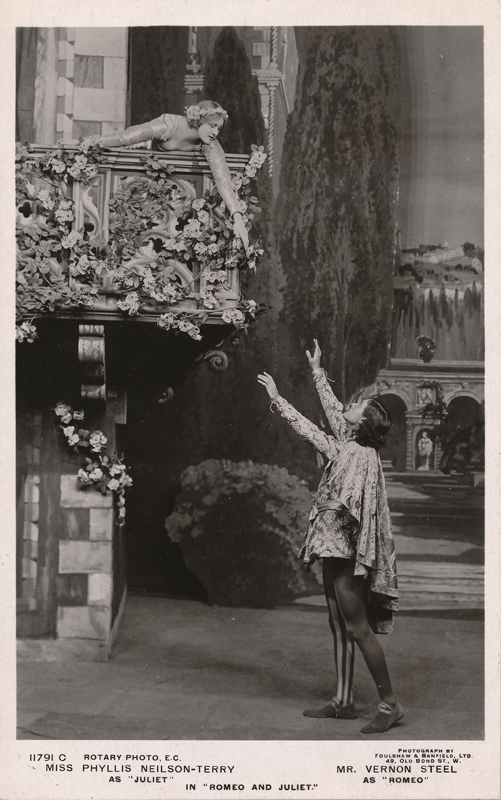 He moved to Hollywood in the 1930s where he produced a number of plays for Los Angeles theaters.